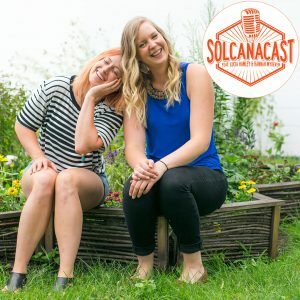 This week on Solcanacast Hannah and Lucia take a deep breath (or two, or three) to hash out the deets regarding omega-3 and omega-6 fatty acids. What’s the big deal? Well, they’re ESSENTIAL to your health. Your body can’t just… wait, listen to the episode! And then get the air knocked out of you as you’re blown away by the concept of VO2 max, and stay in the loop as Hannah details just how exactly you can hack your body to increase your VO2 max. You may be surprised to learn what does the trick! New episodes release on Fridays, in the meantime follow us @solcanapodcast on Twitter and shoot us a challenge, tell us how YOUR challenge is going, or ask us a question any day of the week! Lucia’s challenge: Eat nuts and see if you can taste, feel and SEE any that are rancid. Hannah’s challenge: Wear a heart rate monitor for a lifting session and a moderate metabolic conditioning session and notice the difference in breathing and heart rate variability.